The Abbey of Our Lady of Gethsemani is a monastery near Bardstown, Kentucky, in Nelson County, a part of the Order of Cistercians of the Strict Observance (Ordo Cisterciensis Strictioris Observantiae), better known as the Trappists. Founded on 21 December 1848 and raised to an abbey in 1851, Gethsemani is considered to be the motherhouse of all Trappist and Trappistine monasteries in the United States of America. Gethsemani is the oldest monastery in the United States that is still operating. Following the Rule of Saint Benedict, the Trappist monks live a contemplative life of faithful prayer and work. The monastery is situated on a working farm of 2,000 acres (810 ha). The monks support themselves and the abbey through its store, Gethsemani Farms, offering handmade fruitcake, and bourbon fudge (both onsite and by mail order). Gethsemani was the home of Trappist monk, social activist and author Thomas Merton from 1941 until his death in 1968. 6.1 Trappist abbeys in the U.S. The location of Bardstown in the Commonwealth of Kentucky—in 1848, 43 Trappist monks emigrated from France to establish the Abbey of Gethsemani. In September 1805, French Trappists from the Abbey of La Valsainte in Switzerland traveled from Pennsylvania to Louisville, Kentucky. From Louisville, they traveled south to the area of Bardstown to meet with Stephen Badin, the first Catholic priest ordained in the United States. Badin invited the monks and members of their Order to make their home in the area. Their stay was short-lived and they left in 1809 after a season of bad flooding. Four decades later, in 1847, Dom Maxime, Abbot of the Abbey of Melleray in France, sent two monks to Kentucky to find a tract of land on which the Order could build a monastery. Bishop Benedict Joseph Flaget in Louisville greeted the pair and guided them to Nelson County, to a tract of land owned by the Sisters of Loretto that was called Gethsemani where the previous community of Trappists had lived. The two monks were able to contract a deal for the land. On 26 October 1848, 44 monks of the Abbey of Melleray left France with their leader, Father Eutropius Proust, O.C.S.O. It was a timely departure as France was verging toward a revolution inspired by socialism and rising secularism had made the environment hostile toward the church. 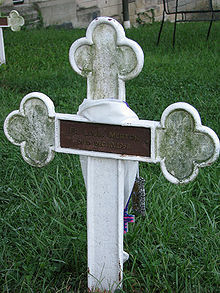 One of the monks died during the voyage, and the other 43 arrived on 11 December 1848 in New Orleans, Louisiana. They journeyed up the Mississippi River on the Martha Washington, a steamboat, and arrived at Gethsemani on 21 December, celebrating mass on Christmas a few days later. Life at Gethsemani at this time was exceedingly harsh. Shortly after their arrival, Proust came down with pneumonia and nearly died—recovering only after being administered the Last Rites. By 1849 the fledgling community had torn down the old cabins on the property and constructed a second chapel, and soon began planning for the construction of a monastery. Proust returned to France in the summer of 1849 to raise funds for construction. At this time the Order was receiving offers from several bishops in other states that wished to have the Order move there to establish monasteries. Proust refused them all because he wanted to establish at least one monastery before expanding, and Gethsemani would be that place. So, in 1851, the grounds at Gethsemani were declared the "Proto-Abbey of the New World" and Proust became Dom Eutropius Proust—first Abbot of Gethsemani. With Proust having been installed as abbot the previous year, plans for construction of the three-storey monastery finally began in October 1852—to be designed by the architect William Keely. It was during these pre-Civil war years that the monastery was built, modeled after the Abbey of Melleray. It was made of brick walls with timber roof supports with a rectangular abbatial church (meaning a church belonging to an abbey) constructed as well, the interior of which was made of lath and plaster in a Neo-Gothic style. The bricks were made on the work site, while the foundation was of limestone rock from Indiana. Later, windows were installed, and atop the church a large steeple was mounted. The steeple could be seen from great distances, and the new monastery stood out from its rural surroundings. Many local members of the community helped the monks in the construction process, some of whom were slaves. In exchange for the hard work of Gethsemani's neighbors, Proust promised the locals free schooling for their children. In 1859 Proust resigned as abbot and he returned to the Abbey of Melleray in France. At this time Gethsemani had a total of 65 monks. He later died in 1874 while serving as Abbot of the Abbey of Tre Fontane near Rome, Italy. Dom Benedict Berger, O.C.S.O., was installed as the next abbot, just after the American Civil War had commenced on April 19, 1861, though he had been leading the community since January of that year. Berger was known to have an astute business-sense about him and was diligent in ensuring his monks lived an austere existence—in fact, many locals viewed the monks as a strange and unhappy lot. He was equally remembered for his generosity and kindness to soldiers on both sides of the Civil War, accepting them in the abbey to provide nourishment, horses and/or distilled spirits. Berger did sympathize with the Union, however, and his monks enjoyed the protection of Union troops in the area. On May 1, 1864, the abbey opened their church in the public wing of their basilica to the general community, and France sent a priest by the name of Jerome Moyen to lead them. On November 15, 1866, Gethsemani's abbatial church was consecrated by Archbishop Purcell of the Roman Catholic Archdiocese of Cincinnati, assisted by the Bishops of Louisville and Buffalo, New York. Present at the consecration was Bishop Spalding of Baltimore, who gave the homily. That same year Gethsemani was given control over a nearby parish and Dom Benedict also founded a religious order for women—the Sisters of the Third Order Regular of St. Francis—who were assigned to teach at an all-girls school in Mount Olivet, Kentucky. Meanwhile, the abbey was not doing well to bring in new postulants, in part due to the strict leadership of Dom Benedict. 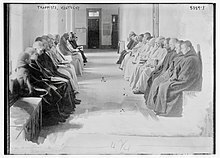 In 1878 the abbey had roughly the same number of monks as when it was founded, and none of those present were American. As a result, Gethsemani leased some of its land to local farmers to avoid closure. In 1884 the abbey suffered a devastating blow. Their grain mill—which had been a major source of income and nourishment—was burned to ashes. Despite this, Gethsemani managed a very large and productive farm by this time. In 1885 the community received its first lifelong American monk, a former cowboy from Texas. The number of monks at Gethsemani, however, had dropped to thirty-four by the end of Dom Benedict's tenure as Abbot. In ailing health, Berger retired in 1889 and was confined to the abbey's infirmary until his death in August 1891. Dom Edward Chaix-Bourbon was the next Abbot of Gethsemani, installed on May 9, 1890. He was a much different kind of Abbot in comparison to his predecessors—having entered the monastery in 1861, and having ruled the abbey in a much more relaxed fashion. Dom Edward applied himself to caring for the all-boys school the abbey ran on the grounds, transforming it into Gethsemani College, following receipt of a loan of $10,000. Soon the college was flooded with applications from all over Kentucky. The current abbot is Dom Elias Dietz, O.C.S.O. Silence is still encouraged. The 40-odd monks who make up the community mingle with visitors and leave the monastery grounds for medical appointments and business concerning the abbey. The monastery uses hired help for some of their maintenance, construction tasks and to staff their mail-order phone center. Mass is held every weekday at 6:15 a.m., and at 10:30 a.m. on Sundays in the main chapel. There are also vespers and other services interspersed throughout most days. Admission into the abbey is a difficult process for those interested in entering monastic life. The monastery requires applicants to make several visits to Gethsemani and encourages them to look into other communities as well. Finally, before being admitted they must pass psychological testing. Once accepted, an individual spends six months as a postulant and is then given his white robe. He then spends two years as a novice monk. If the monk is then found to be competent, he is approved by a council of "fully professed" monks and spends an additional three years as a "junior professed" monk. After these three years the monk can request to take his final, solemn vows, and become a "fully professed" monk. Gethsemani once sustained itself solely through donations, by growing its own foods and selling timber. Today, in keeping with the observance of the Rule of St. Benedict, the monks of Gethsemani bring money to the monastery by producing fruitcake and fudge—in addition to royalties received from sales of Thomas Merton's books. The fruitcake is made with Kentucky bourbon as well as cherries, pineapples, raisins, dates and nuts. They sell their products both on-site and via mail order. The fruitcake was once rated "best overall" by The Wall Street Journal. The months of November and December are particularly busy for Gethsemani Farms, with the monks receiving and filling large orders for the holiday season. The tradition of Gethsemani accepting guests on the grounds dates back to its foundation in 1848, a tradition informed by Saint Benedict's Rule for Monasteries. Guests have ample room to roam around at the abbey, with trails, woodlands and expansive fields suitable for quiet walks and reflection. Gethsemani has a retreat house with thirty rooms for visitors complete with private baths and air conditioning, available by reservation. Retreats are silent and unstructured at the abbey. Both men and women are welcome to book a stay at the retreat house, though depending on the time they are housed there on different weeks. It is advised that visitors book their stays four months in advance, as the available slots tend to fill up fairly fast. Male visitors are discouraged, and female visitors are barred, from entering the enclosure. Speaking is allowed only in designated areas and visitors are expected to speak only in those areas. The grave of Thomas Merton. The cemetery at The Abbey of Our Lady of Gethsemani is marked by its uniform small white metal crosses, resting on a buttressed embankment overlooking the valley and woodlands below. The monks buried there were buried in the traditional Trappist manner, in their monastic habit and without a casket. Thomas Merton's grave is located here and it is often filled with various mementos left for him by visitors to the abbey. His grave marker reads, in the same terse style as all the others there: "Fr. Louis Merton, Died Dec. 10, 1968." For a week in July 22—27 in 1996, The Abbey of Gethsemani played host to its first groundbreaking dialogue between monastics of various Catholic and Buddhist orders. Among the issues discussed were topics on prayer, meditation, work ethics, and monastic roles. According to the 14th Dalai Lama—who was present at the encounter—these discussions were important in paving the way for future dialogues between the two religions. The idea to establish such a connection between them first came about at the Parliament of the World's Religions in 1993, when Julian von Duerbeck and Wayne Teasdale asked the Monastic Interreligious Dialogue (MID) to host an interfaith dialogue between Buddhists and Catholics; MID accepted, and that morning they held a meeting at the Parliament. The second Gethsemani Encounter was held at the abbey during the week of April 13 to April 18, 2002. Trappist abbeys in the U.S.
^ Etheridge, Kellie [18 August 2011], Find peace at Abbey of Gethsemani, Elizabethtown, KY:Turret, p. A16. ^ a b c d e f Monastic Dialogue. "Monastic Interreligious Dialogue | Gethsemani Encounter II, April 2002". Monasticdialog.com. Archived from the original on May 8, 2012. Retrieved October 12, 2012. Aprile, Dianne. The Abbey of Gethsemani: Place of Peace and Paradox. Winnipeg, Manitoba: Trout Lily Press, 1998. ISBN 0-9642802-1-3.
Cooper, David D.. Thomas Merton and James Laughlin: Selected Letters. W. W. Norton & Company, 1997. ISBN 0-393-04069-0. Hales, Mick. Monastic Gardens. New York: Stewart, Tabori & Chang, 2000. ISBN 1-55670-982-X. Herbermann, Charles George, et al.. The Catholic Encyclopedia. Robert Appleton Co., 1913. Jacobs, Mary A. (2006-11-16). "Sales give monasteries, convents a boost". Desert Morning News. Retrieved 2008-01-12. Johnson, Fenton. Keeping Faith: A Skeptic's Journey. Houghton Mifflin Books, 2003. ISBN 0-618-00442-4. Kramer, Dewey Weiss (2005). "Contemporary Architectural Witness to the Lived Cistercian Ideal: The Abbey Churches of Gethsemani and Conyers". Merton Annual (print). Fons Vitae Publishing. 19 (1): 50–57. ISSN 0894-4857. Martin, James. My Life With the Saints. Loyola Press, 2007. ISBN 0-8294-2644-2. Mitchell, Donald William; Wiseman, James A.. The Gethsemani Encounter. Continuum International Publishing Group, 1999. ISBN 0-8264-1165-7. Olsen, Brad. Sacred Places North America: 108 Destinations. CCC Publishing, 2003. ISBN 1-888729-09-0. Strecker, Zoe Ayn. Kentucky Off the Beaten Path, 8th Edition. Globe Pequot, 2007. ISBN 0-7627-4201-1. Teasdale, Wayne. The Mystic Heart: Discovering a Universal Spirituality in the World's Religions. New World Library, 1999. ISBN 1-57731-140-X. Van Der Veer Hamilton, Virginia (1988-11-27). "Fare of the Country: Fruitcakes Made in a Kentucky Abbey". The New York Times. Retrieved 2008-01-12. Winternitz, Felix; DeVroomen Bellman, Sacha. Insiders' Guide to Cincinnati. Globe Pequot, 2006. ISBN 978-0-7627-4180-9. Merton, Thomas. The Seven Storey Mountain. Harvest Books, 1948. Merton, Thomas. The Waters of Siloe. Harvest Books, 1949. ISBN 0-15-694954-7. Mitchell, Donald W.; Wiseman, James A. Transforming Suffering: Reflections on Finding Peace in Troubled Times. Doubleday, 2003. ISBN 0-385-50782-8. Wikimedia Commons has media related to Abbey of Gethsemani.